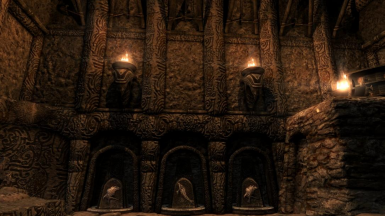 Skyland Nordic Ruins adds a complete overhaul to the visual of Nordic tombs, ruins, Orc longhouses, and other ruins found throughout Skyrim. Created with a blend of traditional and photogrammetry textures, Skyland Nordic Ruins, like all Skyland mods, offers the highest quality in visuals. 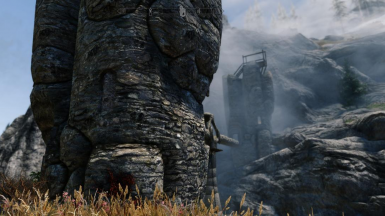 This mod covers all Nordic ruins, ruins found throughout Skyrim, landmarks, towers, and oddly enough, Orc settlements and architecture. This doesn't not cover clutter. This aims to add new textures to the architecture. Maybe in the future I may add select clutter and remaining doors to add consistency. Works well with all mods except any mods that retexture the same things. If you have mods like that, place this mod below them in your load organizer or mod manager.